About a year ago, a colleague invited me to write a post for a blog in one of my research areas. The invitation was casually made, as I expressed some half-baked views on a controversial subject we were discussing. I said I would be happy to submit something, but only after writing a full-length law review article on the issue. 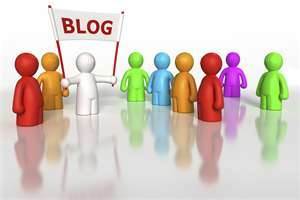 Blogs are, of course, an indispensable part of the legal academic discourse. And in the past ten years or so, I have become a voracious consumer of blogs (including, but not limited to, serious academic ones). Yet I have never felt the urge to become an active member of the blogging community. In part, this is because I am afraid to publicly take positions that won’t hold up under closer scrutiny. But while fear is a useful emotion, it is often an inadequate reason to refrain from jumping in. Readers understand the nature of blogging. Besides, if given enough time, I may well come to find some of the positions I defend in law review articles misguided, and this doesn’t stop me from writing them. I also suspect that blogging can be used in aid of longer-term academic projects. Forcing yourself to articulate thoughts is never a bad thing. Marathon training schedules, after all, are filled with many short runs. As a bonus, a post may spark reactions that are as enlightening to the blogger as they are to the readers. In any case, the opposite danger looms larger: to write posts that are utterly inoffensive and boring. That would be safe, but also a waste of everybody’s time. All this is to say that my time of free-riding on other people’s blawgosphere efforts has come to an end. As one of the Editors of the Faculty Blog, becoming involved in blogging is now part of my job description. And when I looked at the Faculty Blog earlier today, I didn’t fail to notice that I am the only Editor who has yet to contribute a single post. I realize that this post doesn’t go far toward fixing my delinquency. I am in the process of finalizing that full-length law review article I mentioned earlier, so I will have a thing or two to blog about in the near future. I also expect to throw in some not well-developed thoughts from time to time. Please don’t hold these against me. But more importantly, don’t hold back!